We currently offer shipping within the US. Orders will be shipped within 2 business days. Please allow 3 business days if sizing is required. If other alterations are arranged please contact us to determine time frame before shipping. Please contact us before ordering if you have a tight deadline. We will ship USPS priority mail with signature confirmation. If you would like us to ship another method please contact us. We accept returns within 5 days of delivery. Jewelry must be in original, unworn and unaltered condition. Please note that custom orders, special orders and altered or sized items are final sales and may not be returned or exchanged. Return shipping charges are your responsibility. Please contact us right away if you wish to return a piece and we will provide you with return instructions. Any defects in craftsmanship will be gladly repaired free of charge within 90 days of delivery. Other repairs determined to be caused by intentional or unintentional misuse, abuse, accidents of nature, criminal acts and/or alien invasions will require standard repair charges. No stone or piece of jewelry is indestructible. We do not guarantee that a diamond or gemstone will not chip, break, scratch or fracture once in your possession. We strongly suggest insuring your jewelry with your homeowners or renters insurance policy, which will pay for damage. Currently all of our rings offered in our online shop are one-of-a-kind and are ready to ship. We include one free resizing with purchase. Each ring will have size options listed along with the current size. If you do not see your size listed with a ring you are interested in, please contact us, we may be able to make a similar ring for you. Please indicate your size in the comments section upon check-out, and allow 3 business days for sizing before shipment. If you need additional sizing after you receive the ring please contact us. 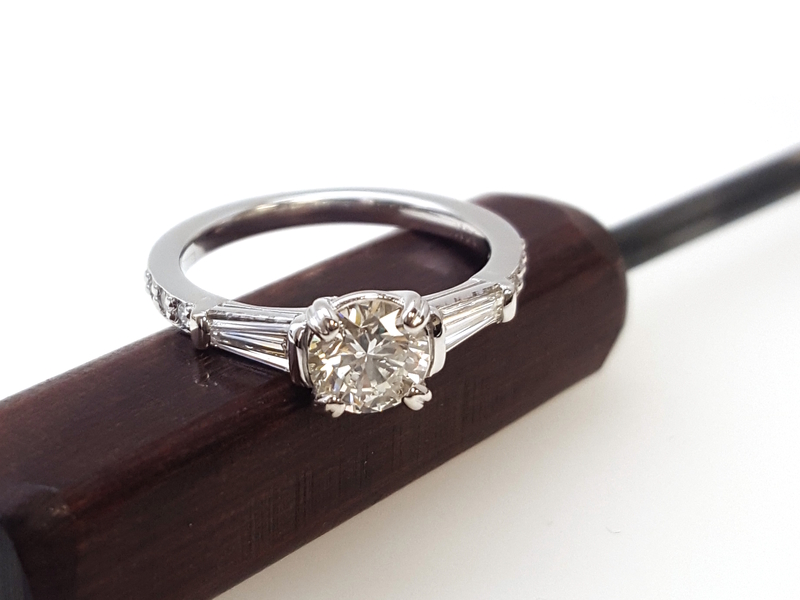 We will happily resize the ring for you for additional charges. The charges will depend on the ring and size. Return shipping charges are your responsibility. Design consultation for custom work is offered free of charge. Once a design is determined a 50% non-refundable deposit will be required before starting production. CAD services are considered production. Changes to the design once production has started may require increased cost covered by the customer. Changes in the design on the finished piece will be charged based on materials and labor costs. We will make extensive efforts in our communication with you to create your custom or made-to-order piece to your specifications, however please expect and allow for some variations due to artist interpretation or techniques used. Cancellations for orders of custom jewelry must be made before production has started for a full refund of your deposit. Once production has started the deposit is non-refundable.